I know it's way to early to think about it - but I also know you've thought about it too; the possible heads-up match between Allen Cunningham and Jamie Gold. At this point, we are down to 12 players (the $1million zone). Gold has continued his run and more than doubled his aleady impressive starting stack. Gold has over 30,000,000 chips; more than a third of the chips in play. Currently Allen Cunningham is in second place with just over 14,000,000 chips. Allen has more than quadroupled up today. Together, Jamie and Allen have more than half the chips in play. Admittedly, a lot can, and will, happen between now and heads-up. But what a match that could be. 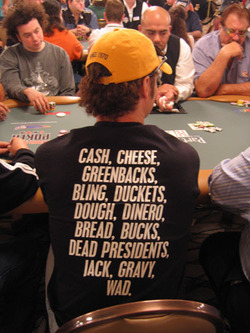 My favorite heads-up match of the WSOP so far was the Jeff Madsen v. Erick Lindgren match. I swear you could hear the gears turning inside their brains as they tried to crack the code on one another. I think Cunningham and Gold could top it. I'd love to see their competing styles go head-to-head for the biggest tournament in history. But like I say - there are a lot of rivers between now and heads-up. 2005 WSOP World Champion Joe Hachem gets a massage before the dinner break. 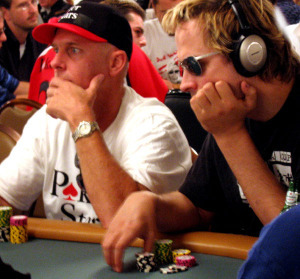 Las Vegas Vegas keeps track of Phil Laak. He's still in, but his better half is not. How Many Ways Can You Say Money? $10 million in two weeks? Everyone is talking about the new, nicer, tantrum-less Phil Hellmuth. They are saying his "handlers" are trying to change his image. This is interesting to me since he's writing a book that will be called "Poker Brat." But that's neither here nor there. I spoke with his agent yesterday, Brian from Poker Royalty, and he said Phil has gone phone-less. No cellphone. Not for the WSOP. The man with almost ten bracelets (including 54 WSOP cashes) is very serious about getting his 10th this year. 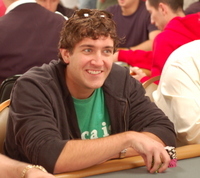 He was even seen borrowing JJ Lu's cell phone in the $5,000 Pot Limit Event. 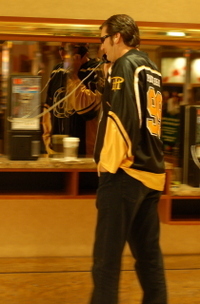 Then, on our way to our meeting last night, we saw him using one of the Rio's few pay phones. Hey Phil, if you're listening. I love your WSOP blog and hope you get that 10th...and 11th!!! I remember sitting on the bleachers with Jen down at Binions last year when they brought out the final table players. She gasped, "OMG! We're going to have a good looking champion." While she was speaking of the field in general, I noticed her view was fixed on young Brad Kondracki. OK, we were BOTH staring. Kondracki, who was the consummate short stack with 27 to go in the Championship event, finished in a stunning eighth place. He has been absent from the tournament circuit this year, but like a Capistrano swallow he has returned. Brad is currently playing the $5K Pot Limit Hold'em event today. 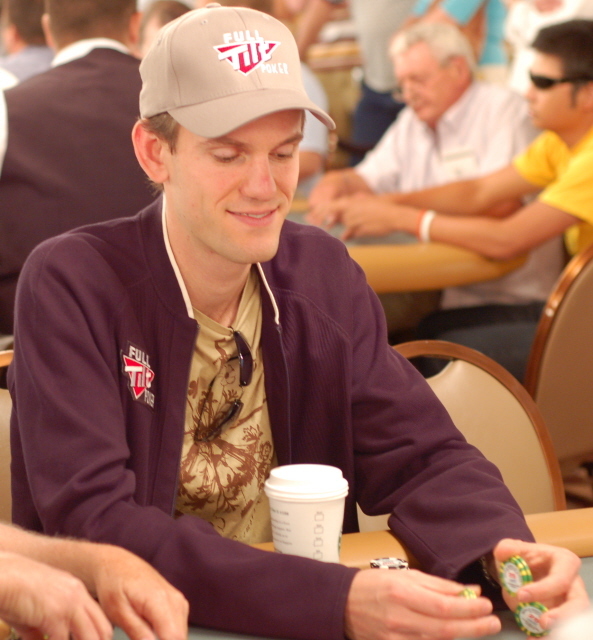 Another WSOP swallow sighting ocurred yesterday when Dan Harrington was spotted in the house. This can mean only one thing - the main event is drawing near. "I just met him and he's got more personality than all these other moops," said Jeff. "The flop was Axx, and a guy bet at it. Kenna re-raised all in. He came over the top for $17,000." "Then Kenna came over to the rail and I asked him, 'Did you have it? Because I had you on trips,'" Jeff asked. "I had trip nothing," said Kenna. "I had nothing. It was a bluff." "17,000 over the top with naathing!" Jeff said again. 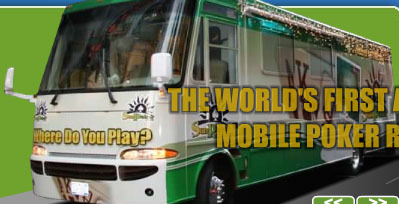 Kenna James is a part of Sun Poker, surely you've seen their great big green bus parked out in the Convention lot. Andy just noted that it's going on 12 hours since they started. A spectator walked by and said to Spaceman, "I want to leave, but I'm pot committed." Some minutes before, the audience booed when Andy went all in and Chip didn't call. Nolan got on the mic to thank Sam Munatello, the Tournament Director. Sam thanked the players who've changed the lead 7x since they went heads up. With the blinds only at 30k -60k, it's doubtful there will be a big move anytime soon. Pauly is napping in his car. I've decided to go home and get a few hours of a nap in. If I miss it, I miss it. I was here for a long part of it. Spaceman is the true marathoner. He's counted 78 people watching including all the staff which could very well be 1/3 of that number. As I was walking about of the Amazon room, a suit walked by me and towards the table. He said, "What are they playing, chess or cards?" Once in the hall, I saw Norm Chad walking away from the room, too. Catch the rest on Blonde Poker. If you were willing to part with $50,000, whose table would you want to sit at? The field started with 143 players and after a several hours was still at 143 players. The rail is packed 3-5 people deep with spectators pushing the no-flash picture taking rule. Here's a short list of clustered pros. Table 148: Tony G has Patrick Antonius on his left. Table 149: Gavin got his massage early on. 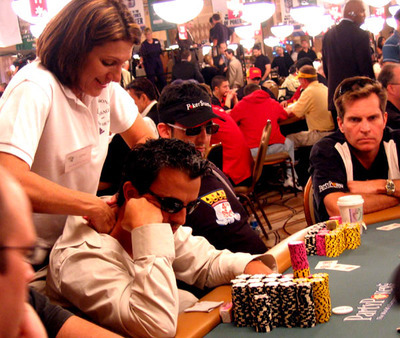 The Devil Fish seated on his right, with Annie Duke and 7x WSOP bracelet winner, Erik Seidel, seated next to each other at the other end of the table. Table 150: Doyle Brunson was sporting a tan colored suit, Scott Fischman on his left, was wearing a clean shave. 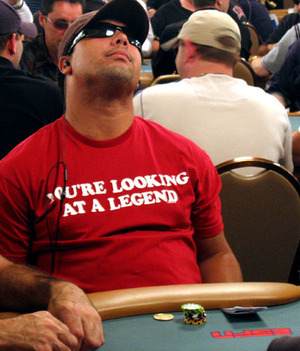 Table 137: Phil Ivey has John Juanda on his right, and Lyle Berman on his left. Greg Raymer and Cyndy Violette (wearing a pink Doyle's Room shirt) are also at the table. Table 138: Johnny Chan, Layne Flack, Robert Williamson, and The Mad Genius of Poker, Mike Caro. Table 151: Andy Bloch, Barry Greenstein, Chris Ferguson, and Max Pescatori.